Useful small tools to do side-line tasks. Every time you choose from main menu Tools->Create new GUID it will creat a new GUID. The GUID is made of the current mac adress and timestamp and a counter to be sure the GUID is always unique. From main menu Tools->BASE64 transcoder. This dialog helps to encode and decode base64. It can also encode binary data. 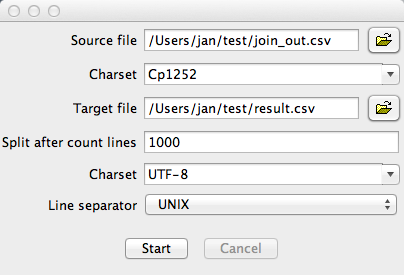 To encode binary data select the binary data check box and after click on encode a file chooser will open to load the binary data. 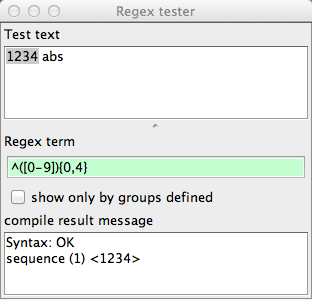 The regex will immidiately compiled by typing and a green background says ok, a red background says you have errors (shown in the text field under).